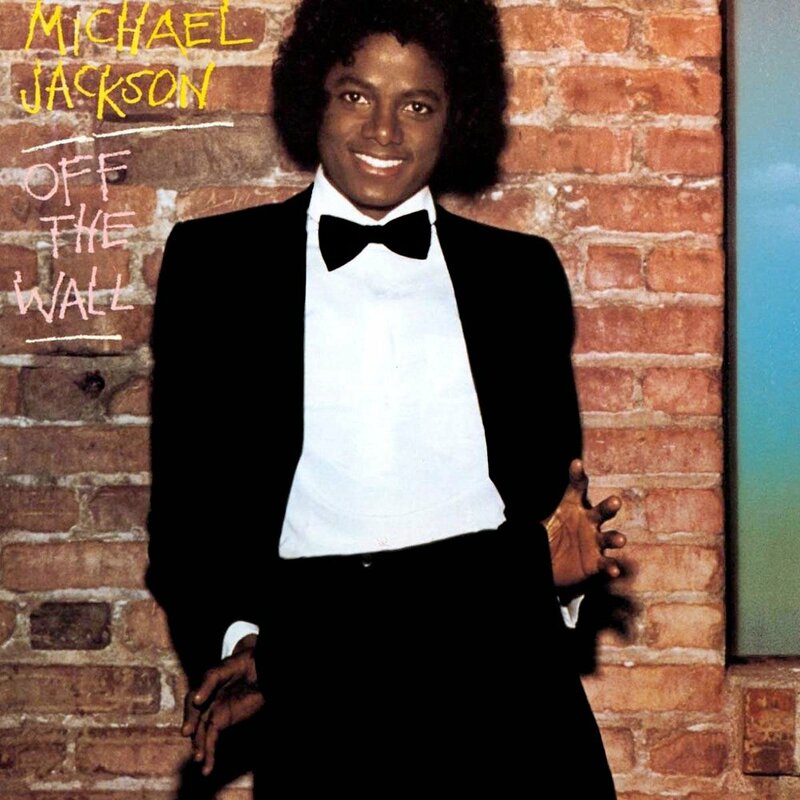 "Off The Wall" reached a peak of number 3 on the UK chart and still remains in the best selling albums of all time lists. Released in 1979 it spawned 5 singles with all but one reaching Top Ten. 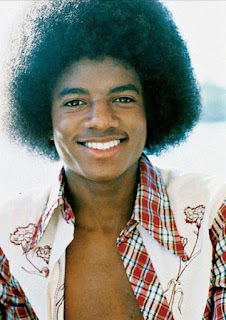 The lead track "Don't Stop 'Til You Get Enough" ironically also reached number 3 and was a pure Disco and Funk hybrid similar to the tracks by Earth, Wind and Fire and those 70s Disco powerhouse groups of the time. You can't help dancing or singing along to this one! The second single, reaching number 7 was "Rock With You". A much slower tempo, a Disco/Soul ballad with a little Funk. One of my favourite tracks from MJ. It was apparently offered to Karen Carpenter but she turned it down, it proved to be one of the defining hits of the Disco era. 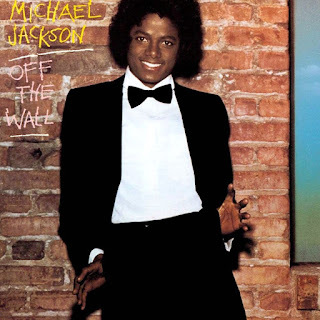 "Off The Wall", the title track also reached number 7 in the UK and was said to be part of a Disco medley sung live in later concert tours. With similar parts to both the previous singles it was the perfect single to release, keeping up the Disco stance. "She's Out Of My Life", the third single matched "Don't Stop.." by reaching number 3 on the chart. A much slower tempo, minimal backing and Michael's soulful vocal made this a suprising hit after the dance orientated trilogy prior to it. Pure Motown soul. The final single (by which time I assume everybody had a copy of the album) was "Girlfriend", written by Michael's friend Paul McCartney who took the song from the Wings' album "London Town" in 1978. A Pop and R 'n B track that reached only number 41. A quirky little song that has a nice rhythm and chorus. The relationship was the starting block for more collaborations between the two in later years. "Working Day And Night" is another Disco Funk track similar to "Don't Stop.." in composition. The non stop rhythm, repetitive catchy singalong lines and chorus and funky basslines. Not a single but one of MJ's most popular songs. "Get On The Floor" is a real funky track, not much lyrically but a throbbing funky bass drives this track and it is a fun fast paced workout. "I Can't Help It" is possibly the weakest song on the album but that's becuase it has hugh standards. This is a mediocre soft Pop ballad that meanders along 'til the end. The chorus is more annoying than catchy. "It's The Falling In Love" is a typically Motown soft Disco Soul ballad. Nice chorus and soulful vocals. "Burn This Disco Out" ends the album on a high note. Similar to "Rock With You" with little snippets of the major tracks on this album, a summary of the album if you like. Catchy and funky and danceable which what this album is all about. Thanks for taking the time to discuss that, I really feel strongly about it and love learning more on that topic. I am sharing viral Nexter website this blog here for read more articles ! !